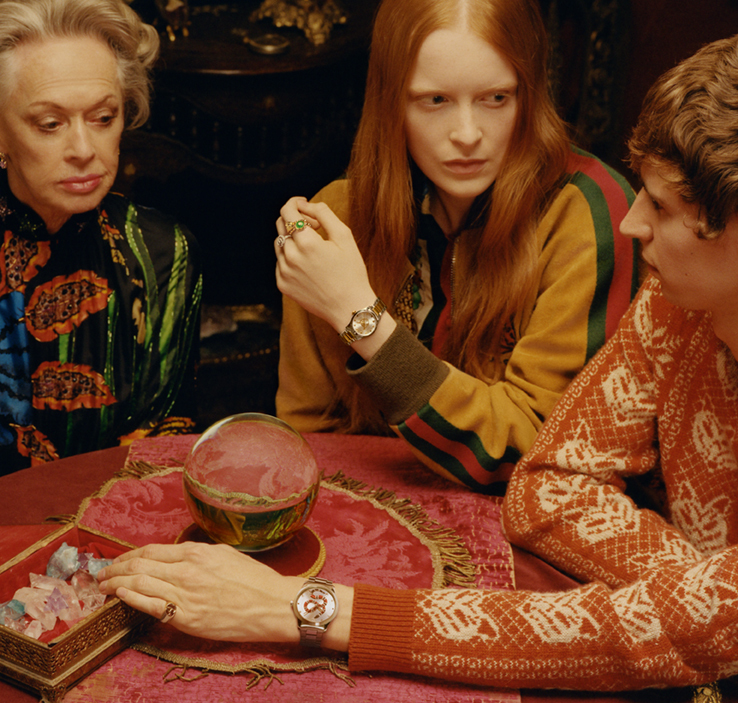 Gucci is introducing a new interpretation of a classic watch within the G-Timeless line. 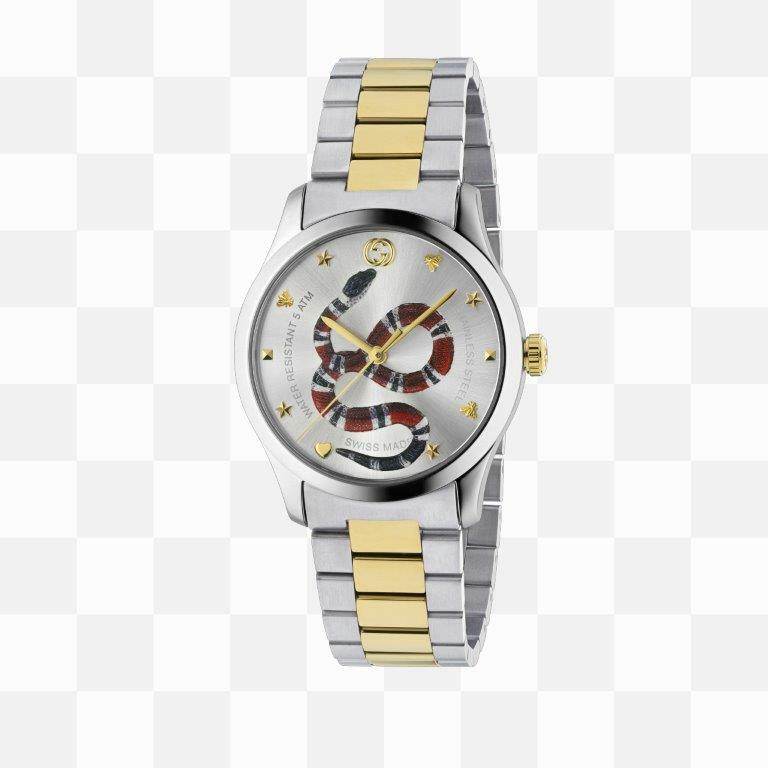 Each one blends the look of an easy to wear Swiss Made watch with new House motifs such as the bee, the star, and the heart as index markers. The new additions include two 27mm variants. 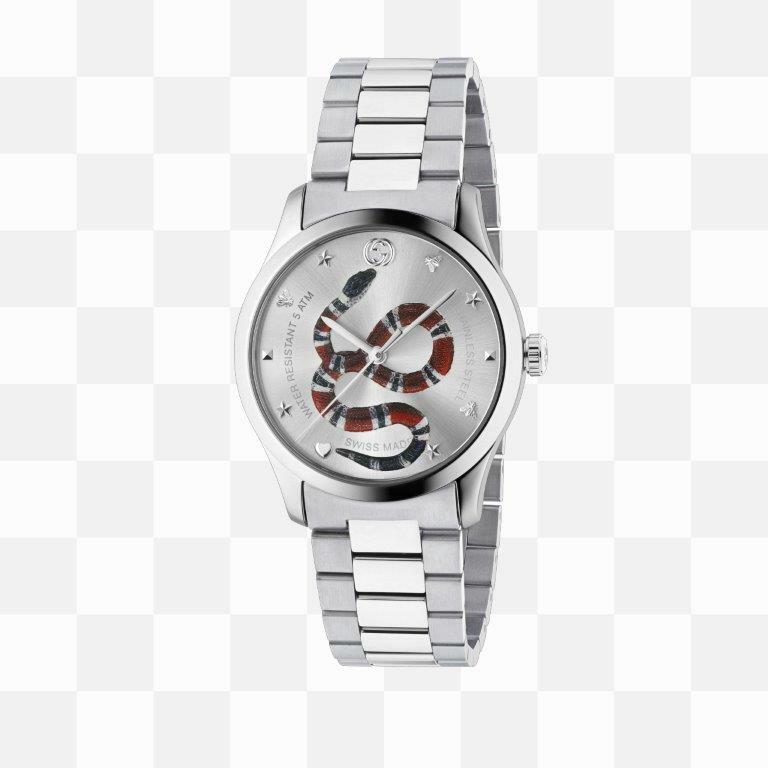 One shines in pure silver tones with a steel case, silver dial with a silver feline head, and steel bracelet. Offering a mixed metal look, the other combines a steel case and silver dial with a yellow gold feline head and steel and yellow gold PVD bracelet. 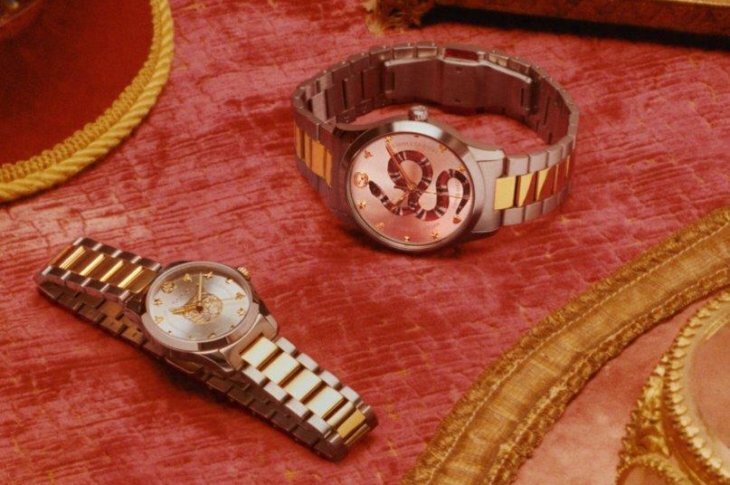 Two 38mm editions also display the feline head on a silver dial. One showcases a steel case and bracelet, while the other incorporates yellow gold PVD into the strap, with touches of yellow gold on the dial too. Two further 38mm variants inject a vibrant dose of color into the collection, with the snake motif in red, black, and white on a silver dial. A steel case and a steel or steel and yellow gold PVD bracelet finish these new designs. Each timepiece features sapphire crystal with anti-reflective coating inside and is water resistant to 50 meters.